Research has established the contribution of regular physical activity to key health outcomes, such as obesity prevention and musculoskeletal development, and to educational outcomes, such as attentiveness, cognitive processing, discipline, and academic performance (USDHHS 2008). Program leaders identified three major lessons that will assist with future implementation of similar programming: (1) use technology to automate administrative components of the program; (2) cultivate community partnerships and leverage existing partnerships to enhance program success; and (3) introduce gradually and progress mindfully. 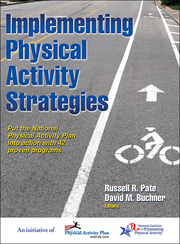 A reference for physical activity practitioners in public health, recreation and community sport, urban planning, and worksite health promotion. Also for school physical education advocates and a resource for physical activity researchers seeking research projects and collaborative partners.